Upgrade your Kettler wall bars with this perfectly suitable training module. 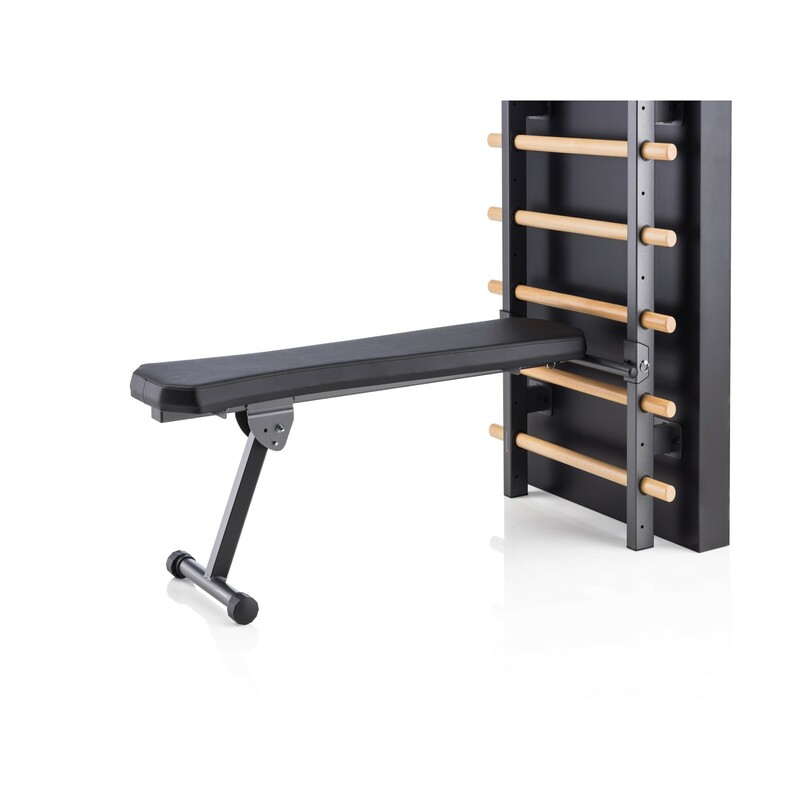 One of the most versatile training modules for the Kettler walls bars - the training bench. It is sturdy, adjustable in incline, and can be quickly adjusted thanks to the fast-click system. You can do a workout with your weights in a straight or oblique position or use it as an incline board for abdominal and back training. The bench is covered with a hard-wearing outer material and can be easily and hygienically cleaned. Tolle Verarbeitung. War schon vormontiert. Kettler Dip module for wall bars In stock! Kettler fitness towel In stock!